This year, the Academy has again put forth a confusingly arbitrary number of 8 nominations for Best Picture (doesn’t 10 make more sense?) and we seem to have a three-way tie between The Big Short, The Revenant and Spotlight. These films seemed to divide any sense of critical consensus this awards season by each taking top honors through various channels (The Big Short took the PGA, The Revenant took the BAFTA, Spotlight took the NSFCA). Despite this split, The Revenant still looks poised to take home the top prize and though I would prefer Room to win above it, Alejandro Iñárritu’s singular survival tale remains my second favorite of the nominees and a fine selection for Best Picture. Iñárritu is a clear favorite for a consecutive win here after last year’s Birdman, which would make him the first director in 66 years with back-to-back wins in the category. Though I am seemingly the only human alive who didn’t care much for Mad Max: Fury Road, George Miller deserves ample praise for his terrifically twisted sense of world-building and his frantically paced action sequences. My preference would still be towards Abrahamson for Room: he’s not the showiest storyteller out there but the emotional integrity that he shows to the story and his characters is worthy of recognition. And how Adam McKay was nominated over the likes of Scott and Spielberg is something that I will ponder over all night. It’s finally Leo’s year. Sure, it may not be the best performance of his laudable career but the Academy has a long history of handing out overdue awards and it helps that this year’s field is relatively soft compared to previous years. Much has been made of the brutal shooting conditions of The Revenant and how they affected its actors but there’s more to DiCaprio’s towering work in the film than the suffering that he and his character endured. It’s a completely believable portrait of a man fighting valiantly against the elements and it’s a comforting sign that the night’s surest bet is also such a deserving pick. Another lock here and for good reason: there’s no doubt in my mind that Brie Larson gave the year’s best performance in Room. As a young mother of a 5-year-old boy living under unimaginable circumstances, she gives a heartbreaking and unforgettable performance of staggering empathy and overwhelming conviction. The rest of the field is equally impressive and Charlotte Rampling would likely be my runner-up choice here for her astounding work in 45 Years as a conflicted wife in a 45-year marriage that isn’t as stable as it seems to be. Though I didn’t see Joy, it’s worth mentioning that this is Jennifer Lawrence’s third nomination in 4 years and she’s 25 years old. Just let that sink in. Both of these categories offer an element of surprise but going off of recent momentum, Stallone and Vikander seem to be the smartest selections. While I didn’t see The Danish Girl, Stallone does add a good bit of heart as his seventh portrayal of the Rocky character in Creed. My personal picks would go to Tom Hardy, who gave some solid dimension to his sneering villain character in The Revenant, and to Jennifer Jason Leigh, who had to actively suppress abject horror while watching her co-star obliterate a priceless antique guitar in The Hateful Eight. 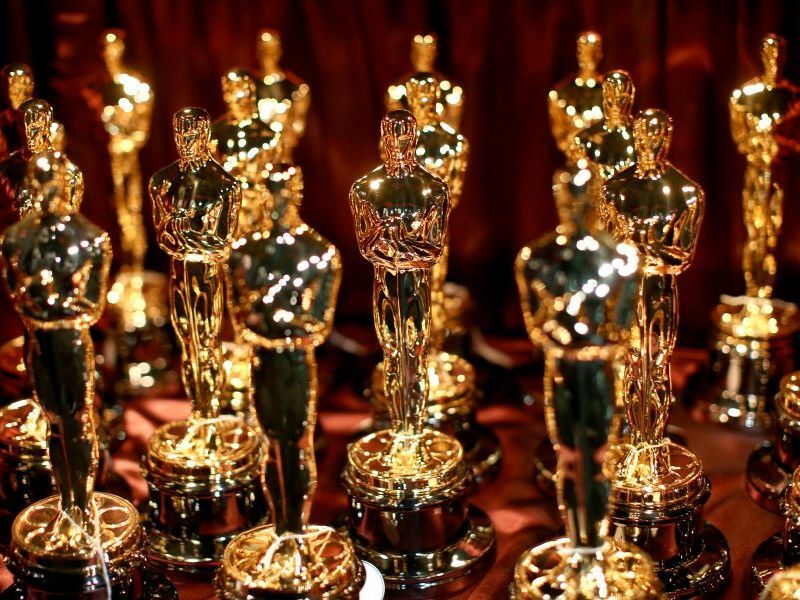 The screenplay categories have long been a personal favorite of mine and while the nominees are strong overall, it seems that the Academy will settle on two less-than-deserving scripts this year. Spotlight is a responsible and competent piece of screenwriting that nonetheless offers little surprise and The Big Short comes up woefully short in the way of laughs or insight in regard to its subject material. Much of what made my two favorite films of last year (Inside Out and Room) great comes down to their writing and I know that I’ll still be crossing my fingers for them tonight when the envelopes are being opened.